What is Keeping You Locked Up? 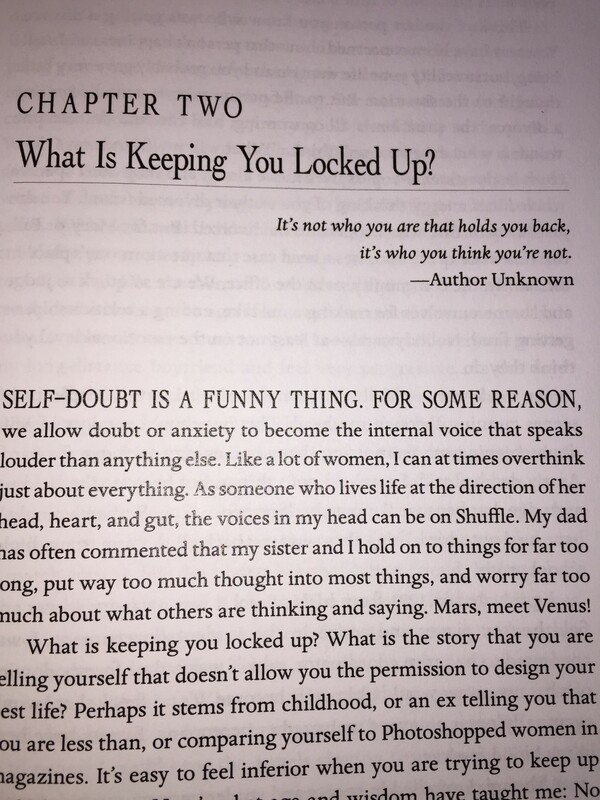 In Chapter 2 of my book, Permission: Stop Competing & Start Creating the Life You Want to Live, I ask the question, “What is keeping you locked up?” You may think your life is chugging along without much interruption but I would challenge you to think about the story you are telling yourself that doesn’t allow you the permission to design your best life. Perhaps it stems from childhood, or an ex telling you that you are less than, or comparing yourself to every Photoshopped woman in magazines. Embarrassingly, I held onto something that happened to me in high school for over 20 years. It all stems from my self-doubt about my prom date asking me out of charity versus out of desire. 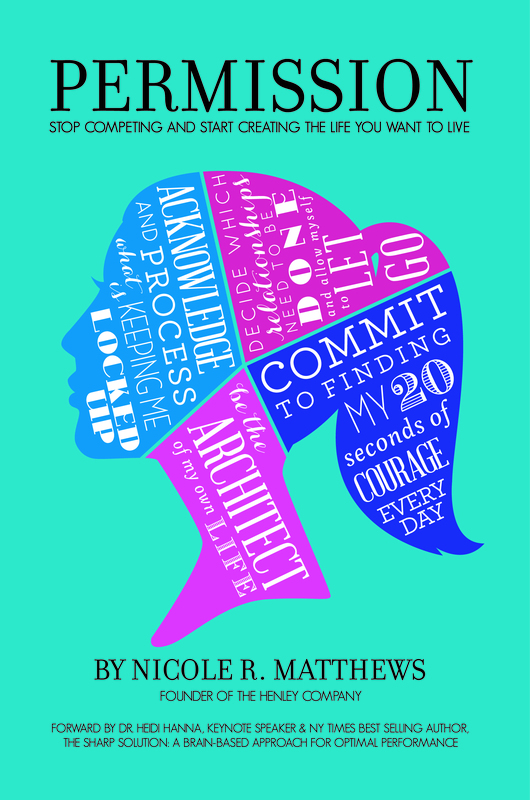 I share my lack of self-esteem for all to read in Chapter 2. It wasn’t until I met my prom date at our 20th reunion that I was able to silence the tape in my head about not being good enough. Twenty years of telling myself I was less than and a charity case crept into all of my future relationships with men. I had allowed myself to craft a story that was untrue and to live in a place of feeling like a bridesmaid and never a bride. Take it from me, that has been exhausting. What I’ve come to learn is that usually the crazy story we are telling ourselves is far from reality, but until we face the demon head on (in my case, admitting to my prom date that I thought he took me out of charity and being shot down by his reality) it paralyzes us from being authentic and soulfully happy. BlogHer ’11 Invades San Diego! 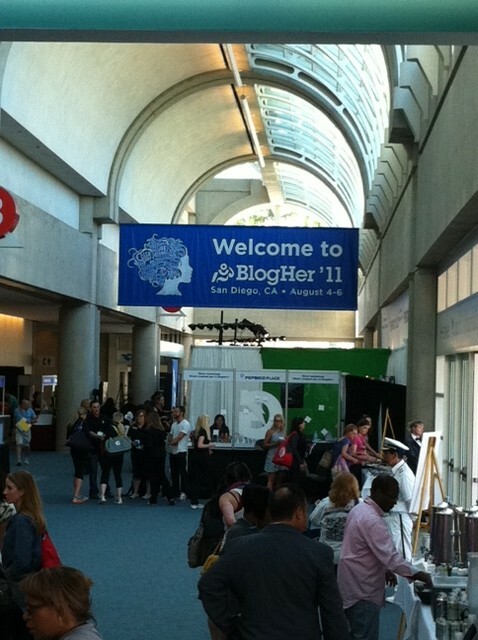 Over this past weekend, I attended the BlogHer ’11 conference, which was held at the San Diego Convention Center. Over 3000 women bloggers invaded our city. It was amazing to be in the same room with some of the world’s most prolific bloggers. These women have hundreds of thousands, if not millions, of followers to their blogs. If you ever doubted their significance, you only need to walk through the exhibit floor where every major brand you can think of under the sun is pitching their products to the bloggers. They want to get their products into the hands of the bloggers so they can start gaining reviews of their products. When a blogger endorses a product, their entire community of followers are exposed to it and are more likely to make the purchase. These social media mavens are a force to be reckoned with! You can imagine the swag bag we were all given. It’s better than any stocking at Christmas! To be in the room with these blogging celebrities and to learn about how they are redefining marketing and product advertising, was very inspiring. It even motivated me to reengage with my blog, which has not had as much attention lately as it deserves! 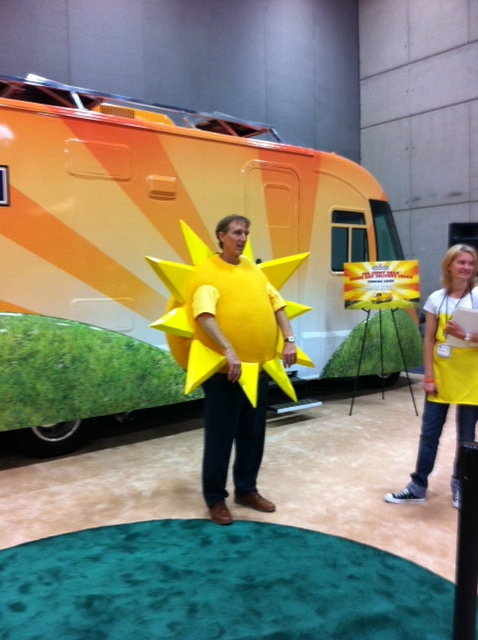 Even the Jimmy Dean Sunshine Guy made an appearance! You know these bloggers are a force when even the sun shows up!